Sunday Service Week 9: By Thinking Can We Arrive at Understanding? Truth is one and eternal. Realize oneness with it in your deathless Self, within. 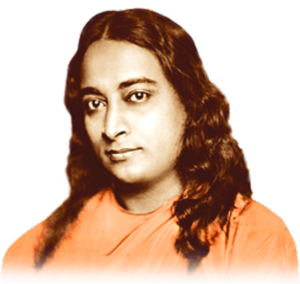 The following commentary is based on the teachings of Paramhansa Yogananda. It wasn’t that Jesus counseled against such wholesome practices as washing one’s hands before eating. In an age, however, when lesser rules were given too much importance relative to the truly important observances—cleansing the heart of impure desires, for example—he emphasized the supreme importance of loving God and of communing with Him. The intellects of those who lack fixity of spiritual purpose are inconstant, their interests endlessly ramified. Thus, through holy scripture, God has spoken to mankind. No good end is ever reached without devotion. No true success is achieved unless the heart’s feelings are involved. Will power itself is a combination of energy and feeling, directed toward fulfillment. In the quest for God, the unfolding of the heart’s natural love, in the form of deep devotion, is the prime requisite for success. Without devotion, not a single step can be taken towards Him. Devotion is no sentiment: It is the deep longing to commune with, and know, the only Reality there is. With the sword of devotion I sever the heart-strings that tie me to delusion. With the deepest love, I lay my heart at the feet of Omnipresence. Beloved Father, Mother, God: I am Thine alone! Let others seek Thee – or seek Thee not; it matters not to my love for Thee. Through all life’s trials, my prayer is this alone: Reveal Thyself!